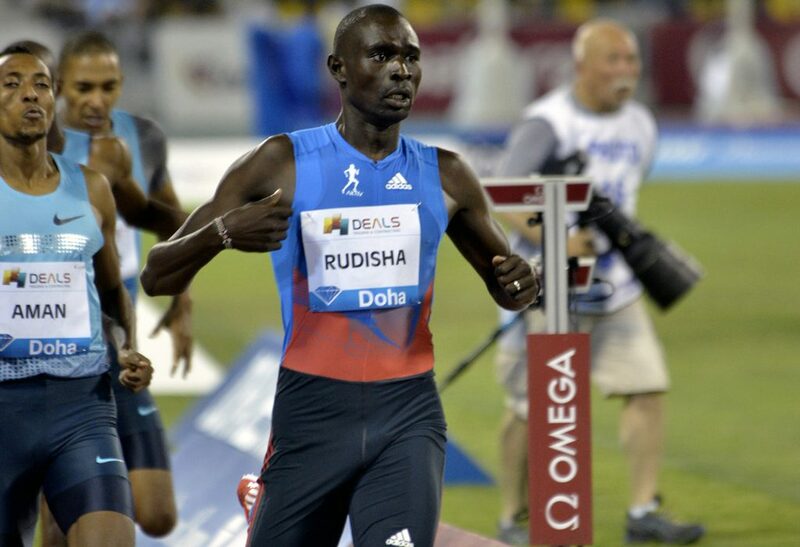 Reigning Olympic 800 metres champion and world record-holder David Rudisha will return to IAAF Diamond League action at the Doha 2014 meeting on Friday 9 May. Rudisha’s appearance in the Qatari capital, the seventh of his career, will signal the Kenyan’s eagerly anticipated comeback after a knee injury cut his season short after just two races last season. Rudisha, who produced one of the finest moments in Olympic history with his spectacular 1:40.91 world record run in London, has been a familiar fixture in Doha since his first appearance in 2007. That year, as a junior, he finished sixth, but returned the following year to claim his first victory in 1:44.36. He was fourth in 2009 but bounced back with solid victories in 2010 and 2012, clocking 1:43.00 and 1:43.10 respectively, both early season world leading marks. “I am very happy to be coming back to Doha. It’s a meet that has always had good races and been a good start to my season,” Rudisha said. 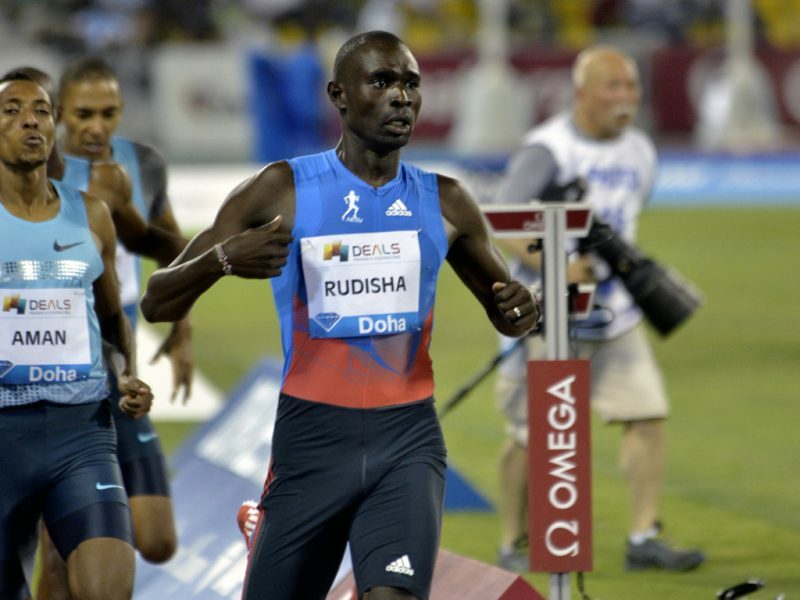 “We are really looking forward to welcoming back David Rudisha for the second time after his historical performance at the London Olympics,” said Qatar Athletics Federation Secretary General Mohamed Al-Kuwari. Leading the charge against the Kenyan will be Nijel Amos of Botswana who finished second to Rudisha in London clocking a world junior record 1:41.73, while Qatar will be well represented by national record holder Abdulrahman Musaeb Bala (1:43.93), the 2013 Asian champion and rising star Jamal Hairane. Andrew Osagie, another London 2012 finalist, will also be in the field on the heels of his second successive world indoor bronze medal-winning run. Despite Rudisha and Barshim’s credentials, the most exciting track and field athlete in the world at the moment is Genzebe Dibaba who will headline the women’s 3000m contest in Doha. In a span of just five days in February, the 23-year-old Ethiopian shattered two world indoor records, first over 1500m in Karlsruhe, Germany and then at 3000m in Stockholm. Her 3:55.17 run in the 1500m knocked more than three seconds from the previous mark while her 8:16.60 performance in the Stockholm 3000m smashed the old record by more than seven seconds. It was the fastest performance the world has witnessed since 1993 indoors or outdoors; only three women have ever run faster, all outdoors. Dibaba, the younger sister of Olympic champion Tirunesh, then capped her indoor campaign with a world 3000m title in Sopot last month. With that sort of momentum, she’ll be extremely difficult to beat. Kenyans appear poised to provide the strongest challenge, led by Mercy Cherono, the 5000m silver medallist from last year’s World Championships. Viola Kibiwott, fourth in the 2013 world 5000m final, and Hellen Obiri, the world bronze medallist last year in the 1500m, are also in the field. Dibaba’s compatriot Almaz Ayama, the 2013 world bronze medallist over 5000m, is also on the slate.